We're a rather small family business and passionate about our island and it's nature. 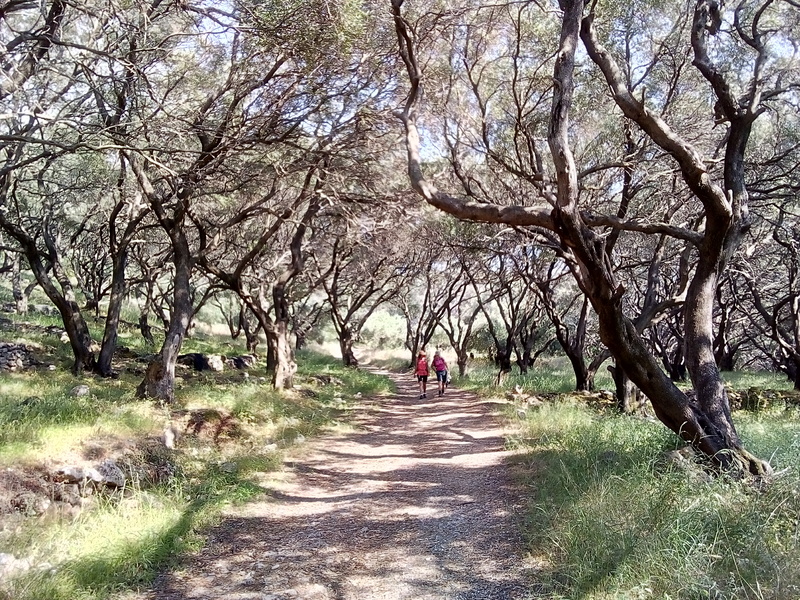 Even on such a popular island as Corfu it's possible to get off the beaten track and find hidden gems by walking the old footpaths, which for centuries where the main routes between villages. Whether you are an individual or part of a group, we pay personal attention to your requirements. From your initial booking to the moment of your arrival, and of course throughout your stay, all our services are tailored to your individual preferences and needs." You arrive as a visitor, but leave as a friend"
Why choose Corfu for your next walking holiday? The reasons are numerous. The people of Corfu, both those involved in tourism and those outside it, have a well-deserved reputation for hospitality and friendliness. Most will go the extra mile to make every holidaymaker feel welcome. Whether on the coast or inland, Corfu is sufficiently large to boast an incredible variety of scenery, making it an ideal destination for activity holidays such as walking. Even travellers who have visited time and time again can always find new locations to explore. As one of the first islands in the Mediterranean to attract tourism, Corfu's infrastructure is very well developed. The range of available accommodation suits every taste and budget, and the supporting services are sophisticated. Corfu's situation between Greece and Italy, and guarding the entrance to the Adriatic Sea, has over the centuries made it a desirable possession for invaders. The Ancient Greeks, the Romans, the Crusaders, the Venetians, the French and the British have all left their mark in buildings and landscapes, giving it a unique character, and ensuring there is lots to see and do. During Spring & Autumn 2019 we organize a 7 nights' group tour on the Southern part of the Corfu Trail followed by a 7 nights' group tour on the Northern part of the Corfu trail. 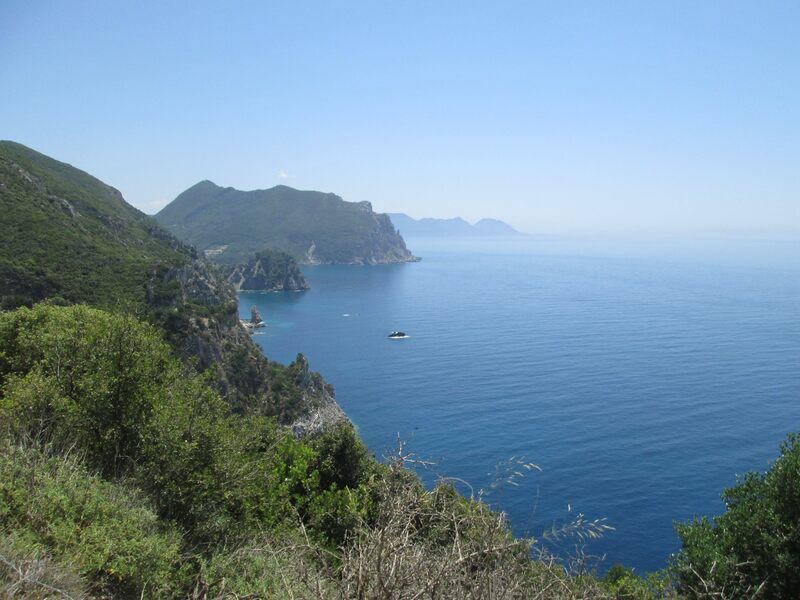 You can either choose to do one part of the Corfu Trail or book the complete 14-nights walking holiday! Our groups consist of 6 to 16 participants. 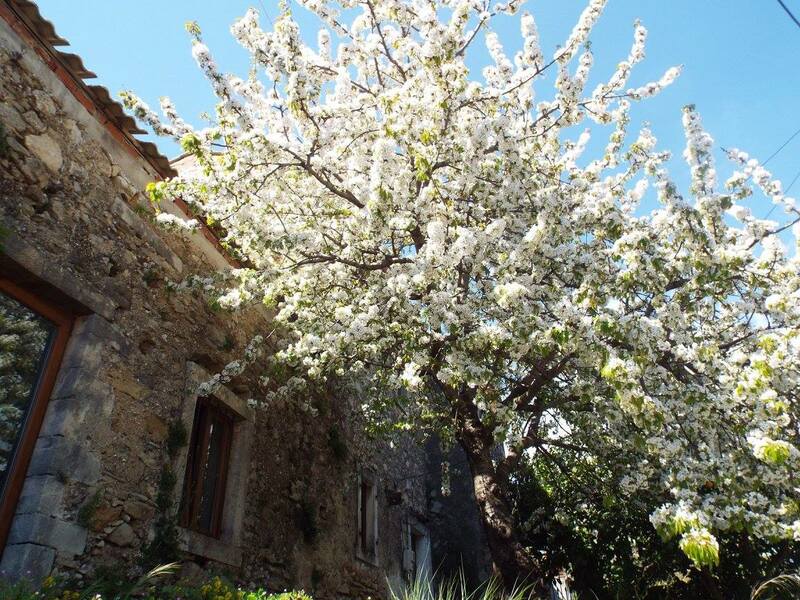 The walks will be guided by an experienced and multilingual tourguide and accommodation will be based in apartments and small hotels in villages on, or near the Corfu trail. Are you interested in joining this tour? Read the complete programme description below and contact us! During Autumn 2019 we start a new 7 nights' group tour! This walking tour is a combination of sightseeing time in Corfu Town and a one- centre based walking holiday in the southwestern part of the island. All walks are guided by a multilingual guide who will accompany the group during the whole week. The hotel in Corfu Town is within walking distance of the vivacious old Town, where as the accommodation in the southern part of the island is a family run property close to long, sandy beaches with great, homemade food. 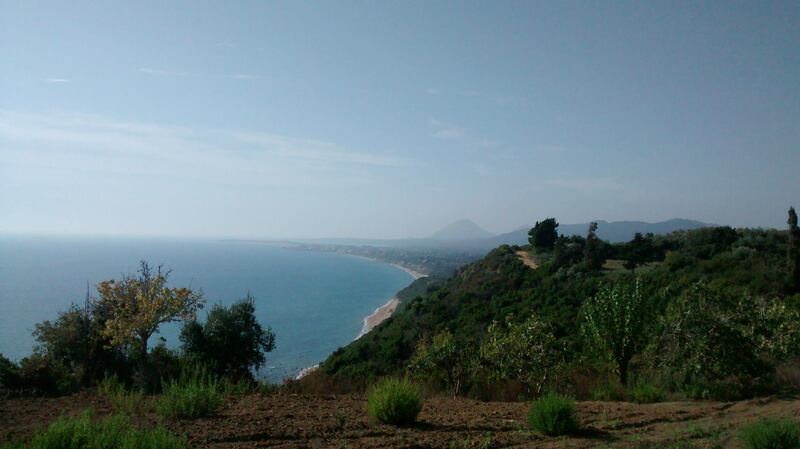 Come and discover the South of Corfu with us! Are you an enthusiastic runner who prefers running off road on challenging routes in nature with spectacular views? 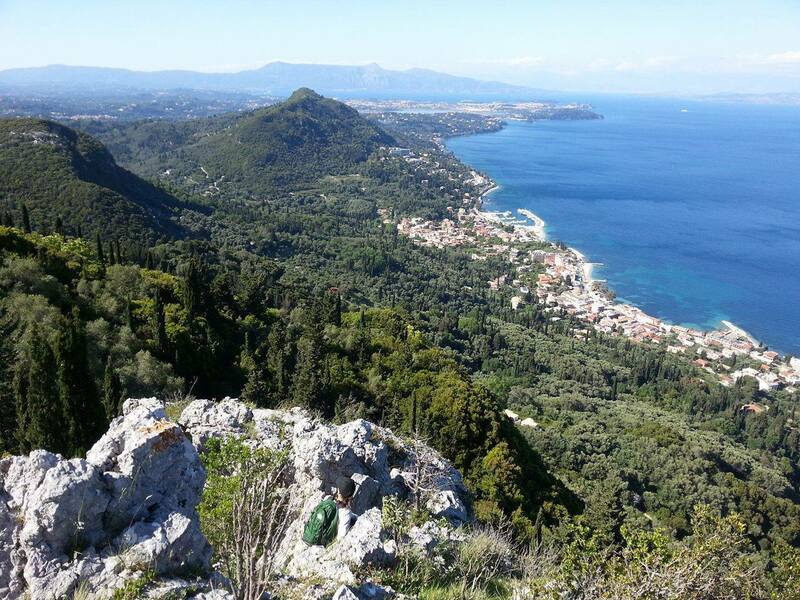 The Trail Running event Corfu Mountain Trail is organized once a year on the footpaths of Corfu Island. In 2019 this will be on the 4th and 5th of May.